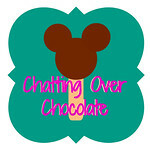 Chatting Over Chocolate: Magical Monday #29: Disney Cartoons Were Much Different Eighty Years Ago! Magical Monday #29: Disney Cartoons Were Much Different Eighty Years Ago! Eighty years ago today Disney released the Silly Symphony short, Lullaby Land. The baby in this short encounters all sorts of dangers! I think it's likely the only Disney cartoon where you'll see a baby playing with matches. (No joke!) 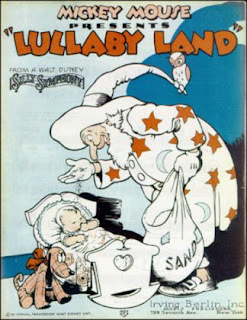 All's well that ends well though, the Sandmand drops sand in his eyes and he can't resist sleeping. (via) What I love most about old cartoons are the soft colors and the old fashioned singing. They definitely don't make them like this any more! I hadn't seen the one before, yet again you bring me something new!